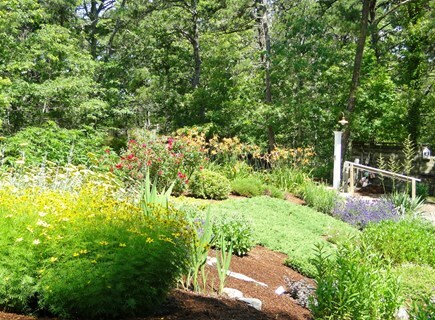 Gorgeous garden at cottage entrance. 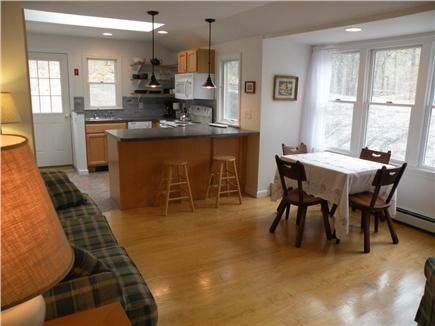 Living area open to kitchen. Bunk beds: One full and one twin. 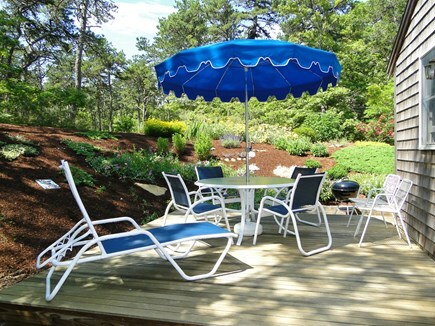 Side deck, outdoor shower, table and umbrella. Front garden and side deck. 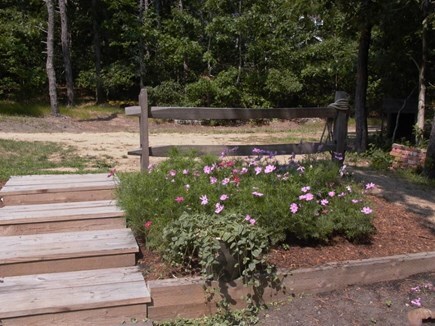 Deck steps to walking path. 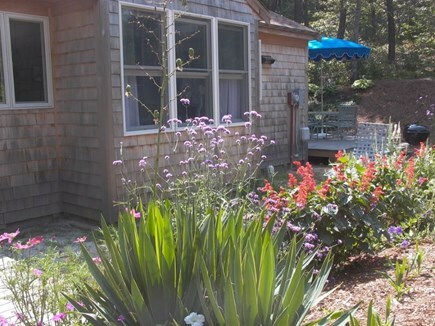 Side deck, outdoor shower, and garden. 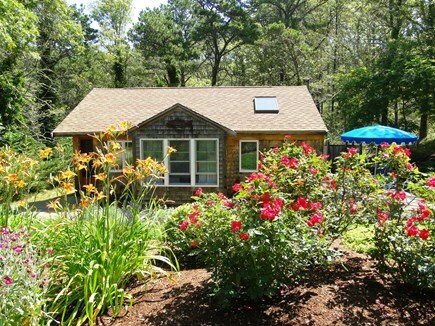 Adorable, secluded, and recently renovated, this home offers a beautiful flower garden and is close to beaches, ponds, town, and the harbor. 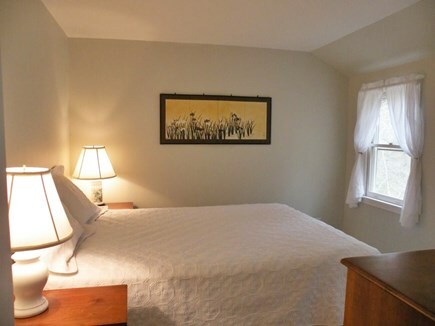 The home sleeps 4-5 in 2 bedrooms. 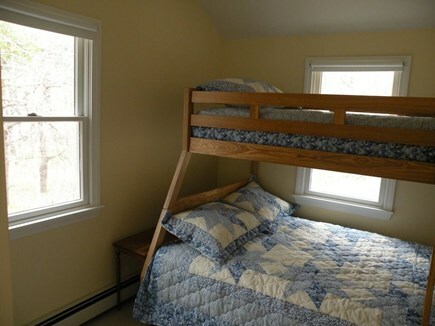 One bedroom has a queen-sized bed; the other has bunk beds (bottom is a double, top is a single). 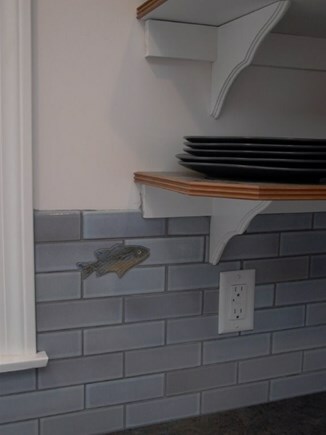 There is a new wood floor in the living/dining room, a beautifully tiled kitchen, and bathroom. 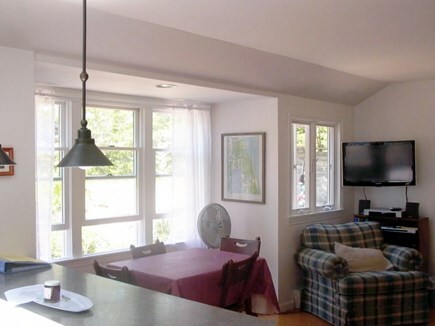 The kitchen has all new appliances, skylight, breakfast bar, and access to a private side deck with outdoor shower, charcoal grill, and table with umbrella. 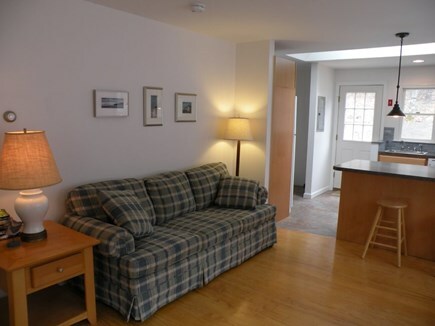 The comfortable dining/living area includes cable TV and DVD player. Wifi throughout house. 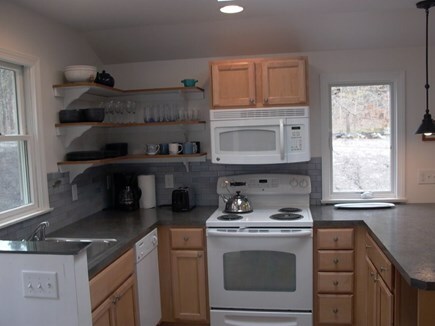 Other amenities include a dishwasher, washer/dryer, and an outdoor storage shed for bikes and beach chairs. 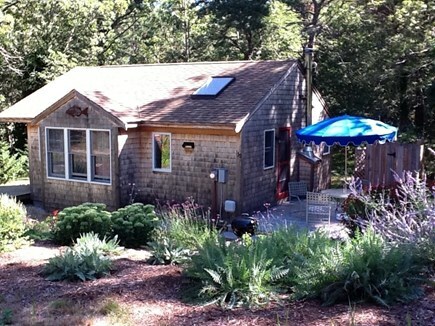 Cottage is rented from Saturday to Saturday. 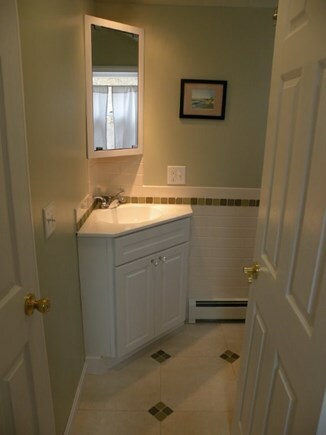 Cleaning fees are included in the weekly rate. Security deposit is required.